Lenovo continues its excellent price-to-performance offerings with a pair of budget-friendly gaming laptops. 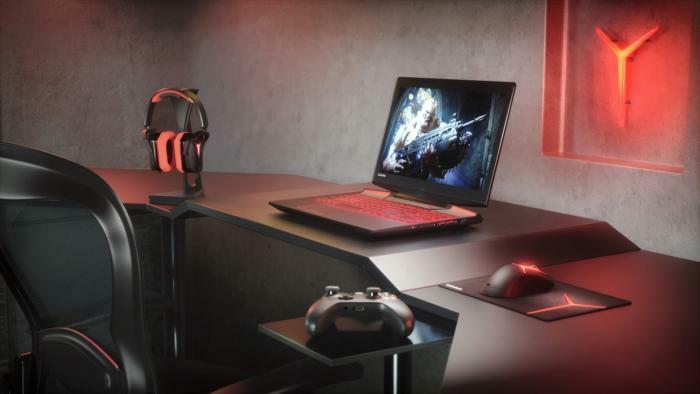 It looks like Lenovo’s toe-dip in the gaming laptop market has been successful enough to make the company’s gaming aspirations more permanent. 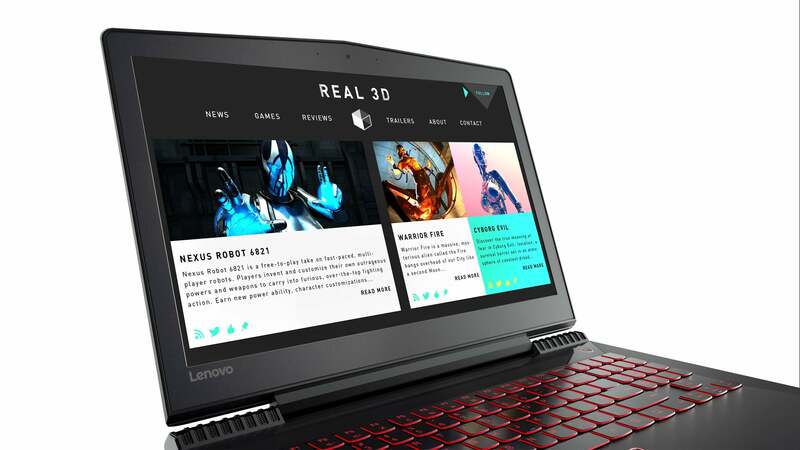 Announced at CES on Tuesday, Lenovo’s gaming laptops have been spun off to a “Legion” sub-brand—which is definitely more fitting than the “IdeaPad” designation of the 2016 models. The new Y520 and Y720 models will be the first to bear the Legion name. The laptops include the obligatory under-the-hood tune ups one would expect of a 2017 update. 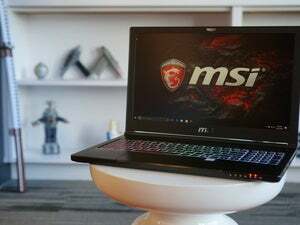 Both the Y520 and Y720 feature up to seventh-generation Intel Core i7 processors, Nvidia’s 10-series graphics cards, 16GB of DDR4 RAM, and either a 512GB SSD or a 2TB hard drive. These aren’t bad specs, and we’re especially interested in the Y720 with its 6GB GTX 1060. In addition to being decently powerful, that graphics card makes the Y720 capable of pumping a virtual reality headset. Lenovo’s external design shifts are probably more noteworthy than the internal component updates. When I reviewed the Y50 in 2015, I noted that it was an excellent bargain laptop hampered by an abysmal screen. Lenovo’s taken that criticism to heart, and includes an IPS display on both the Y520 and Y720, with the option of including a 4K screen on the Y720. Now, you won’t be gaming much at 4K—like most of these budget gaming laptops, the display is meant mostly for day-to-day use. In fact, you’ll probably have to dip the resolution to 1080p to get decent performance in games. Still, 4K is a notable upgrade. The Y720 also packs some other frills, including a built-in Xbox One wireless controller receiver for those who don’t want to tote along a dongle or cable. 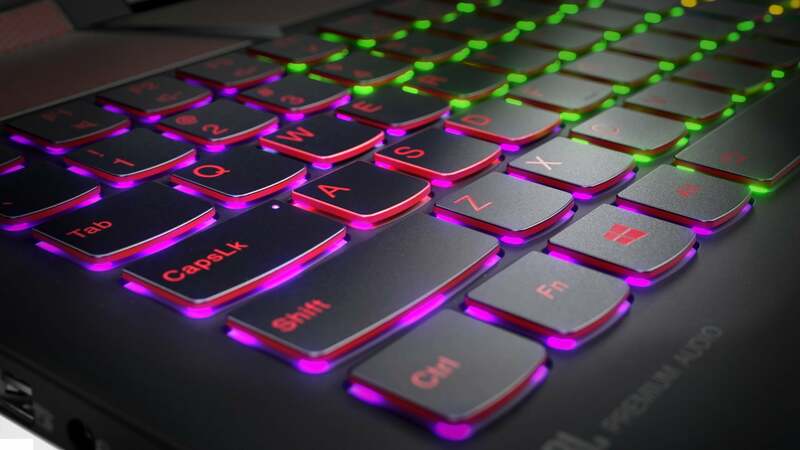 Keyboard diehards win out too, as the Y720 sports RGB backlighting. 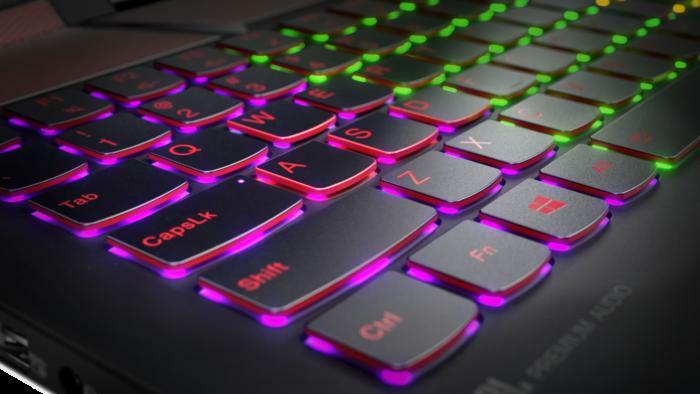 Given Lenovo’s ongoing partnership with Razer, I’m curious whether it’s a Razer Chroma-enabled RGB keyboard with full per-key backlighting. There’s nothing in the announcement to indicate either way, so we’ll be looking for answers during a hands-on demo. The Legion Y720 is also being touted as the “World’s first Dolby Atmos PC,” though I doubt it’s the last one we’ll see at CES 2017. The whole thing’s a marketing stunt anyway, as it only applies to headphone-based Atmos. So don’t expect the Y720’s built-in JBL/Harman speakers to suddenly replicate a full 7.1 surround system. This is headset surround, which isn’t even great at handling normal 7.1, let alone Atmos’s Z-axis tricks. My main problem with Lenovo’s laptops remains their aesthetic. Chunky and black with red highlights, both the Y520 and Y720 feel like relics from an earlier era of gaming. It’s clear Lenovo took cues from Alienware, but I’d much rather they’d crib from Asus, MSI, or Razer when designing these things. Let’s see something a bit more thin and discreet, especially with only a 1060 inside to worry about thermally. 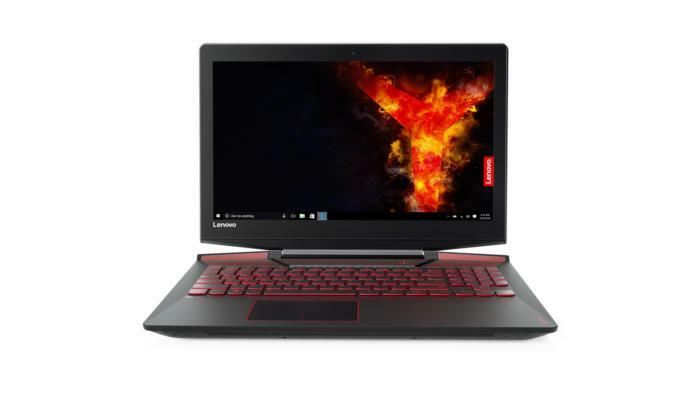 Still, it’s amazing to me that in 2014 we wrote “Lenovo isn’t the first name you think of when you’re considering a gaming laptop.” Maybe that’s still true, and maybe its competitors have more name cachet, but Lenovo’s running one of the best price-to-performance ratios in the industry these days. The Y520 starts at $900 and the Y720 at $1,400. Those are bargain prices for gaming laptops of this spec caliber, and definitely worth a second look.